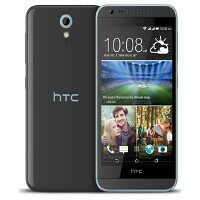 HTC Desire 620G is quietly launched in India? Back in November, we told you all about the HTC Desire 620G, a 3G version of the Asian bound HTC Desire 620. A report published on Sunday reveals that the Desire 620G has been apparently launched in India. More on that in a second. While the Desire 620 features a 64-bit quad-core Snapdragon 410 under the hood, the Desire 620G is powered by the MediaTek MT6592. This is the first true octa-core processor, as you might recall, but the chipset does not support 4G LTE connectivity. HTC has not had an official launch of the HTC Desire 620G, but the phone has been spotted on some Indian online sites, offered for sale. One of the Indian retailers offering the HTC Desire 620G online is SnapDeal. On that site, the handset is being offered for the equivalent of $253 USD, and ships in three to five days. Like the Desire 620, the Desire 620G features a 5-inch screen with resolution of 720 x 1280. The device offers dual SIM capabilities and has 1GB of RAM inside. 8GB of native storage is on board, and a 32GB microSD slot is available for those who require additional memory. The back and front-facing cameras weigh in at 8MP and 5MP, respectively, and a 2100mAh battery keeps the lights on. Android 4.4.2 is pre-installed, along with Sense 6.0. I support HTC, but it's Indian responsibility to support their own domestic brand no? Since when is the 620 asia bound it's availeble in holland. I feel 620 is better and future proof too! I meant Desire 620 is better than 620G. Isn't it?